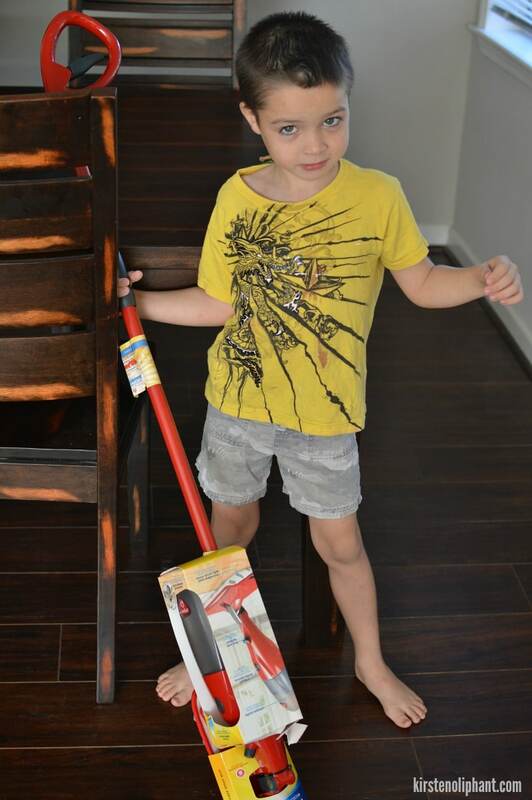 Get Your Kids Excited about Floor Cleaning with the O-Cedar Spray Mop! Because sometimes an image says a lot more than words, I’m not going to describe how dirty our floor gets on a daily hourly basis, or simply tell you why floor cleaning is a priority. 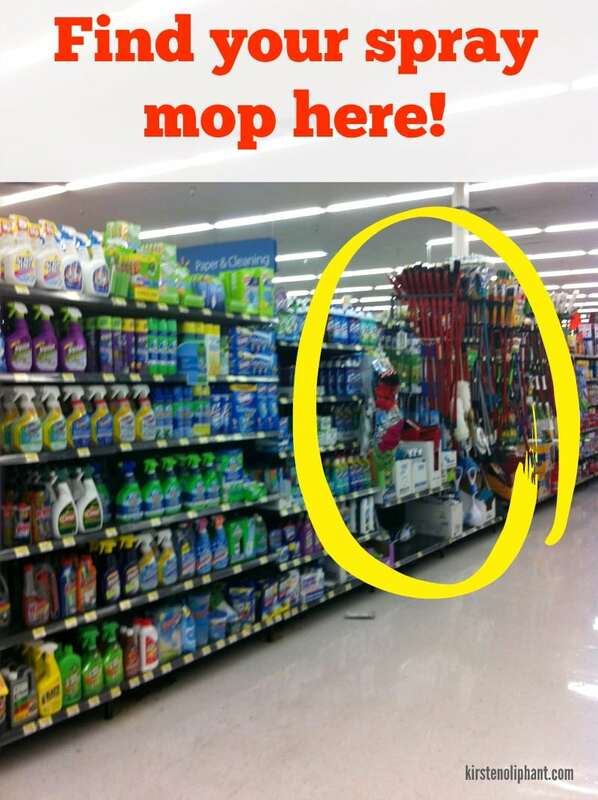 Rather than tell you why we need a great spray mop, I’ll SHOW you. Right? RIGHT??!? You might be feeling really good about your cleanliness about now. The reality is that we have two wild boys and a wild little girl. Add in a giant sandbox and a yard with more mud than grass and what do you get? Dirty floors! All. The. Time. Did I mention that I also hate cleaning? With little ones running around, I want to have cleaners that are safe (read my post on safe, green cleaning!) and that are simple enough for THEM to do. I want to teach them responsibility and also pawn off my own responsibility as much as possible. 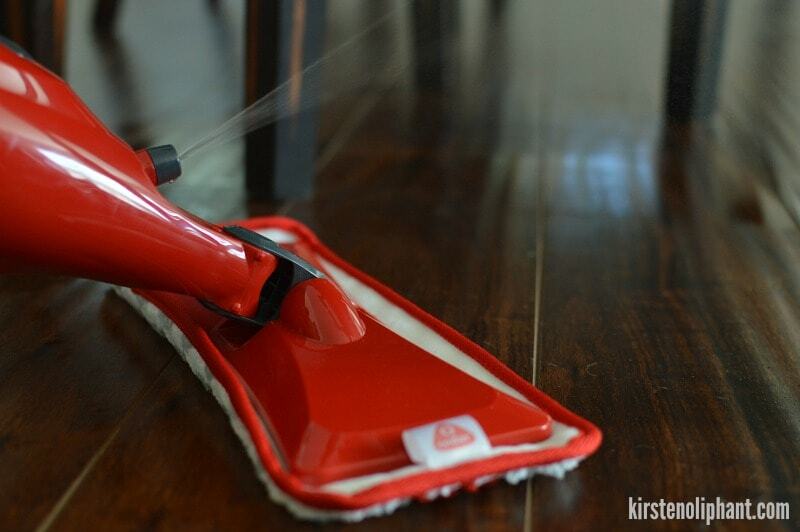 Enter the O-Cedar Pro Mist spray mop. You may have tried a steam mop, as we have, but there are two big issues: unplugging and re-plugging the cord as you move room to room AND the danger of burning (that basically means I don’t want my kids to use it). With the O-Cedar Pro Mist there are no cords and plugs and no potentially dangerous steam. Simply add your favorite cleaner (I use Thieves-read more about how to use essential oils) and go! The microfiber pads are washable and you can buy extra packs in case you really wear them down. Now as for how to get your kids excited? In our house that’s pretty easy. Sometimes we do pay the boys for helping with chores, but when we talk something up, it becomes fun. The boys sometimes fight over who gets to mop first and this morning when we woke up, one of them had already mopped. No joke. (Now we just need to teach them that they should sweep first!) You can find the O-Cedar Pro Mist for a fraction of the price of a steam mop, located in the mop aisle (with the regular mops and sponges) in Walmart’s cleaning aisle with brooms and regular mops. . For me, this was the grocery side, not the side with home items like vacuums. Cleaning teaches kids responsibility, how to care for things, and a good work ethic. But if you’re like me and don’t like cleaning, teaching your kids to like it can be a challenge! Here are a few things we try to do at home to get our kids cleaning…without complaining! Give Normal Chores AND Special Chores. I think it’s important that our kids don’t expect a prize for the things they do. They should clean and do things to help us because that’s part of learning responsibility. 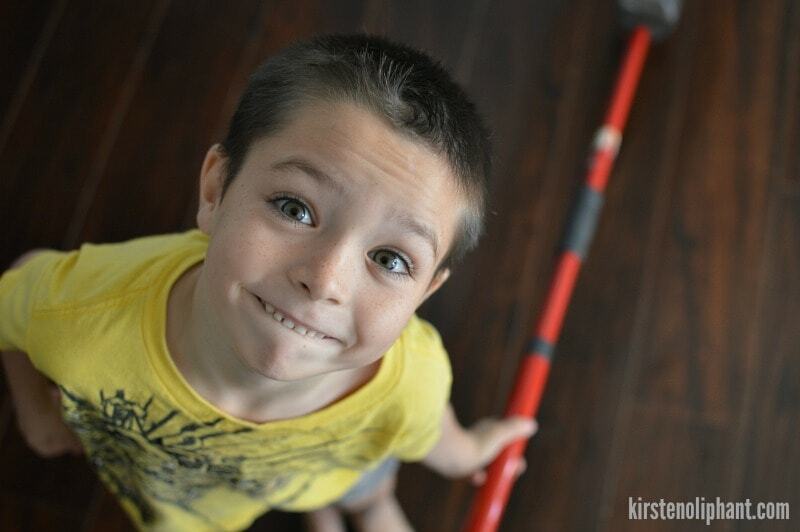 We have the boys clean their room once a week as well as pick up toys and other things around the house. They are in charge of cleaning their plates after meals and putting away laundry. But there are a few extra things we might give them money to do. I’m talking a quarter or two, not a LOT of money. Make It Exciting. We used to do a five minute cleaning frenzy every day. (And I think we need to restart this!) We would play loud music and clean with wild abandon. I’m sure there are more effective ways to clean. But this makes it lively and fun, not the horrible chore (that most of the time I feel like cleaning is). Make Sure You’re Using Safe Cleaning Products. I’ve written about this before, but if you’re letting your children help you, it’s SUPER important to use things that are as safe as possible. 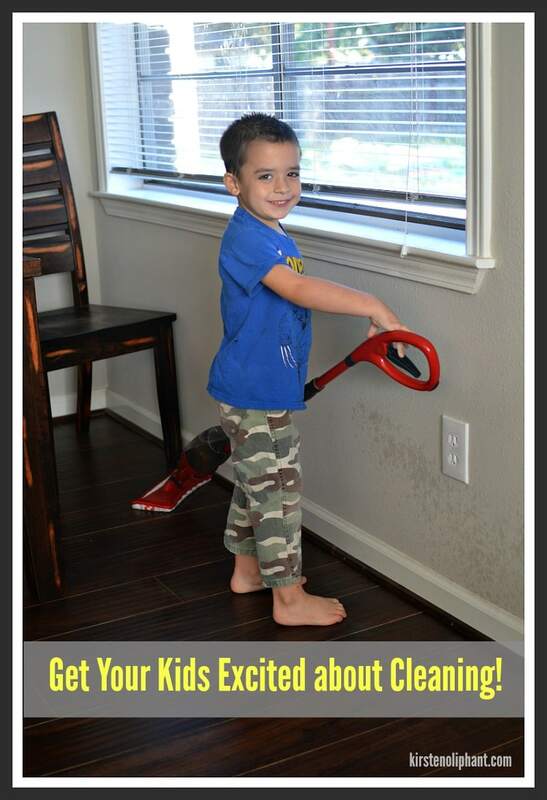 Read my tips about kid-friendly cleaning. As long as you are using a kid-friendly cleaning product inside the O-Cedar, it’s a great tool for kids to use! 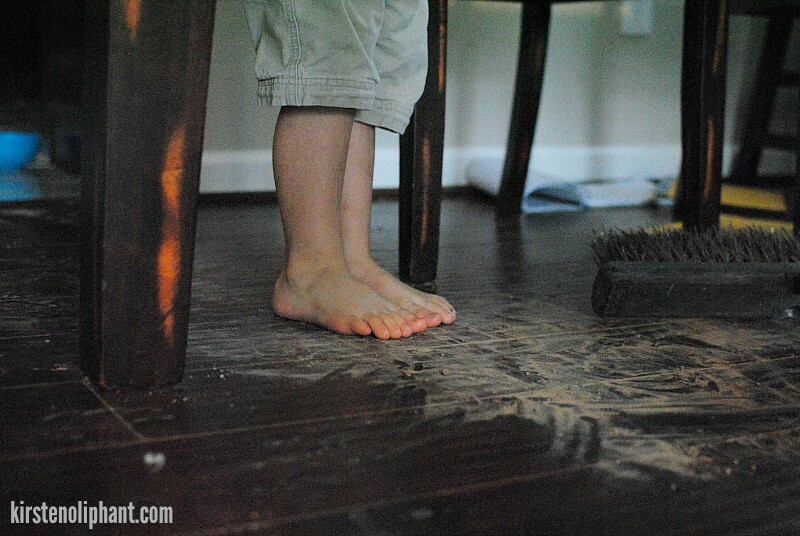 What are YOUR tips for getting kids involved with cleaning at home? Share in the comments! I need all the help I can get.